The Internet of Things isn’t the future of kitchens. It’s the now. Digital technology is revolutionizing how we define every aspect of that room we call the heart of the home. Range hoods with built-in computer sensors is one thing. But, how about a whole kitchen full of computer technology. Kitchen design used to be about fitting in the usual appliances plus working out the best traffic patterns to make the space functional. The last consideration (though equally important as the rest) was deciding which finishes would complete the look. Now, kitchen design must factor in our growing dependence on technology. From finding a recipe based on the ingredients in your fridge and pantry to turning on your oven while stuck in traffic, technology is going to inform not just how our kitchens look, but also how we understand tasks like cooking and cleaning. Sync your appliances. Let’s say you’re running late. You want to have dinner on the table at a certain time, but you know that you won’t be able to. Wait a minute. Maybe you can. With a simple app, you can connect all your appliances to your phone. Turn the oven on and monitor how the food is cooking. That’s just two of the benefits of synching an app on your phone to your kitchen appliances. Smart cooktops. Sometimes you want to boil a big pot of water, and other times, you just want to warm a small pan of liquid. Unfortunately, standard cooktops are all the same size. Yes, you can vary the heat from a simmer to maximum power, but the end result will always be the same. The burner will not be able to heat the entire bottom of the large pot evenly, and even the lowest heat setting is too much for a small amount of liquid. Smart cooktops can adjust to the size of pan or pot ensuring even cooking over the entire surface area. A place for all devices. There are so many recipe apps available today. Whether they allow you to upload your own personal recipes or help you search the Internet for exactly what you’re looking for, smart phones and tablets have worked their way into a special place in our lives. Forget about storing cookbooks. One app can provide you with many books worth of recipes. You can buy a stand to lift your device off the counter so that the recipe is easy to read. You can also buy special covers to protect the device from fingerprints and splatters. Let’s say you’re cooking up a series of recipes off an app on your tablet. Let’s say, too, that you don’t have an outlet handy. You know your tablet will be on for a while, and you don’t want the battery to die before you’re done cooking. You can actually have a special charging station installed in your countertop. Some rise up like elevators from beneath the countertop surface. All you need to do is prop up your device and it will charge it within view or not. Motion sensitive on/off switches. We’ve all been there. Your hands are covered in whatever you’ve just been handling – oil, batter, flour, egg whites. You need to turn on the tap to wash your hands. But, grabbing the tap means gunking it up with whatever’s on your hands. Argh, yet something else to clean! Well, now you can install motion sensitive on/off switches. Wave your hands in front of the tap and, voilà, water pours out. Over to you: what kind of kitchen technology would simplify your life? This entry was posted in Cleaning the Kitchen, Cooking with Range Hoods, Home Improvement, Kitchen Design, Kitchen Tech, Range Hoods and tagged internet of things, kitchen design, range hoods, technology on October 21, 2016 by Mila Hose. Sink faucets are always the last thing on everyone’s mind. They’re generally considered to be a mundane and boringly practical aspect of the kitchen sink. Some faucets may include a special extension hose for ease of use when washing dishes or doing other similar chores, but they are certainly near the bottom of the list when it comes to priority pieces in your kitchen design. Yet, faucets have become quite a bit more sophisticated than they once were, and you might be surprised to find just what choices are available to you in renovating your kitchen space. If you’re willing to add to your kitchen’s overall sense of luxury with a chic, high-performing faucet, then you might want to check out some of the luscious designs below. In some cases, simply alternating from the typical design of kitchen faucets may give your kitchen a more glamorous and luxurious tone. Our brains become accustomed to seeing the kind of sink faucet in almost every household, and this is part of the reason why we don’t see them as something that really adds to the overall impression a certain design may give off. If you simply want a more contemporary design with basic function, many designs exist to meet his purpose. 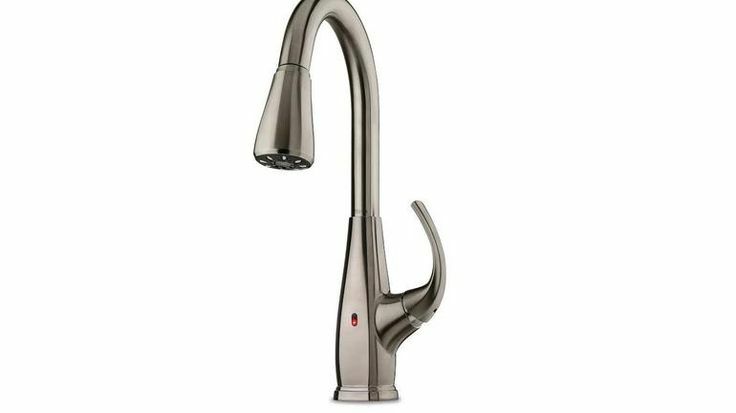 Do you dream of a kitchen faucet that you can turn on and adjust the temperature with the simple touch of a button? Well, there’s a solution for that. Depending on your tech savvy lifestyle and your desire for the ultimate luxury experience, consider a non-traditional faucet that doesn’t need hot or cold handles, because the off/on and temperature settings are all controlled with touch-sensitive technology atop the faucet itself. Finally, if you don’t want to invest a lot of time or attention into your new sink faucet system, consider something that is still somewhat basic while still deviating from traditional faucet designs. This faucet is fully operation with just the side knob, and while there are no technological perks or eye-catching design wonders, it does offer a break from the norm in its high spine and flat design as opposed to the pip-like design of the average faucet. These are just a few of the alternative faucet designs available for the contemporary kitchen. Do you know if any other fantastic faucet designs not mentioned here? Leave your feedback and suggestions in the comments below! This entry was posted in Home Improvement, Kitchen Design, Kitchen DIY, Kitchen Sinks, Kitchen Tech and tagged faucet, kitchen, Luxury, sink, technology on September 16, 2015 by Mila Hose. Last week we took a look at Kitchen Tech Tuesday: Nest Learning Thermostat, a smart thermostat designed to save energy. This week we’re going back to a kitchen product: the Selia Touch-Free Kitchen Faucet. Touch-free devices are all the rage and the Selia is no exception. This kitchen faucet turns on when it senses something in front of it. Other versions on the market require the user to tap it or wave their hand over a specific area around the faucet. This faucet also allows you to control water temperature with a dial under the sink. The handle on the faucet controls the water pressure. Pfister advertises this faucet as having REACT technology. The Selia is complete with a pull out hose, automatic timer for auto shut off and stainless steel finish. The sensor is located at the base of the faucet and adjacent to the handle. The pull out hose allows the user to clean the sink with more ease with the multi-directional pull out hose, and the automatic timer shuts off the faucet to save energy and conserve electricity. The stainless steel finish gives the product a professional and quality look. About Pfister: Pfister produces kitchen faucets, bath faucets and drill-less shower systems at a professional grade level. Pfister has been around for 100 years and was the first faucet company to produce a faucet approved by EPA WaterSense. WaterSense is a water conservation program in conjunction with the US Environmental Protection Agency. Pfister also provides products for custom homebuilding. Comparable Products: Similar available products include motion-less faucets from brands like Kohler, Moen and Delta. (Kohler also sells a kit that converts your Kohler toilet to a touchless flushing system.) It’s not clear yet whether or not Pfister’s Selia stands up to the competition, but it’s definitely clear that Pfister’s motion-less faucet will be half as expensive as some of the alternatives. Pros: The Selia Touch-Free Kitchen Faucet will retail at $300 at Lowes in November, which costs as much as half as the price of other models. The cheapest alternative on the market costs $400. Cons: It’s unclear yet whether or not the technology used in the Pfister version stands up to the more costly competition on the market. -Check out some of the glamorous range hoods we spotted in our blog post Top 5 Crazy Looking Range Hoods Part 2. These hoods look fabulous as well as containing some powerful kitchen tech. -What’s the difference between a gas range and an electric range? When purchasing a new oven, whether you’re remodeling the kitchen or just doing some upgrades, you’ll want to consider what type of cooking surface you prefer. These infographic from Range Hoods Inc may help you by supplying you with some useful information on the subject! What do you think? Is $300 for a motion-less faucet worth it? It definitely sounds more hygienic! This entry was posted in Kitchen Design, Kitchen Tech, Range Hoods and tagged faucet, kitchen, Kohler, Pfister, range hood, range hoods inc, technology on August 5, 2014 by editor. Most houses have the recommended smoke detectors on each floor and the carbon monoxide detector near the garage, just to be safe. Indoor air pollution at home isn’t something we give a lot of thought to until a fire happens or an alarm goes off once in a blue moon. With the Alima from AirBoxLab, indoor air pollution is now something you can track and keep a handle on. If you’d like more information on kitchen technology, read our last blog here: Kitchen Tech Wednesday: iGrill Mini. The Alima aims to revolutionize the way we think about the air in our homes. It isn’t just a detector; it’s a monitor that allows you to keep charts and graphs of air pollutants and access them from the smart app. Indoor air pollution, although not often talked about, is a serious concern; it’s the reason why every kitchen should have a range hood installed to ventilate air during cooking. Air pollution can contribute to illness, respiratory problems, and in some cases, cancer and premature deaths. The Alima tracks VOC (total volatile organic compounds), PM (particle matter), carbon dioxide, carbon monoxide, temperature and RH (relative humidity). VOC includes compounds like formaldehyde, ethylene glycol and benzene. The information is pushed to a Cloud and then to your smart phone and/or tablet, where you can check the levels. It works with iOS (for iPhone) and with Android. The Alima also makes predictions about your home air pollution based on recorded history. It will ping you on your phone and tablet if there’s a problem. The Alima was funded through an Indiegogo campaign, which ran from January to February 2014. It retails at $299, but some backers of the Indiegogo campaign received it with a $100 rebate. Our favorite technical feature of the Alima is its ability to crowdsource the data it collects. As a result, users can reference a database and research how much air pollution specific appliances and objects contribute to the home. Hopefully, this will give consumers more purchasing power and help them make decisions about what to buy. We’re also in love with the design of the Alima. It’s a small, white cylinder with a very futuristic look. Different colored LEDs communicate the pollution readings; the lights show through the small holes that create a design along the cylinder. We love that this monitor is as pretty as it is useful. It won’t stand out too much and should easily compliment home décor. We’re not sure if consumers will embrace the Alima, given the high price tag, but it’s definitely a great product. It may empower you to be in control of the air in your home. As technology advances and homes become smarter, you’ll no longer be a bystander to the particles that may be making it harder to breathe or function inside your house. Have you tried the Alima? Let us know what you think! This entry was posted in Kitchen Tech, Range Hoods and tagged airboxlab, alima, cooking, indoor air pollution, kitchen, range hood, smart home, technology on July 9, 2014 by editor. This week’s kitchen gadget may be unlike anything you’ve ever seen in a kitchen. This gadget looks more like a Victorian spinning toy, typically made of string and wood, than a kitchen tool. Last month, we discussed Kitchen Tech Wednesday: Brieftons Spiral Peeler. Today, let’s take a look at The Golden Goose in-shell egg scrambler. The name of this kitchen gadget is a fun play on words originating with Aesop’s Fable The Goose That Laid the Golden Eggs. It may also remind you of a scene from the film Willy Wonka and the Chocolate Factory. The Golden Goose is a product, popular on Kickstarter, which allows the user to scramble an egg without ever opening it. As a result, the yolk and white of the egg combine; when hard-boiled, an egg scrambled with The Golden Goose is gold in color and is super soft. The taste and texture of the egg is changed. 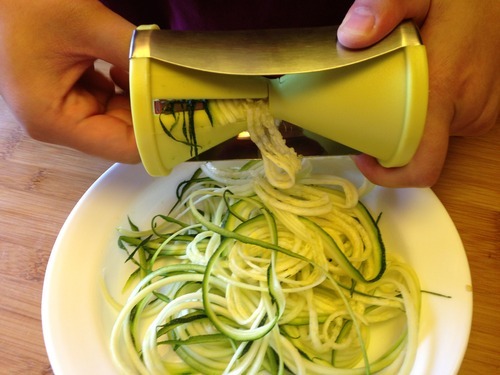 This is a kitchen gadget you probably never knew you needed or wanted. The product design is the launch product for Y Line Product Design. Veteran product designer Geraint Krumpe spear-headed the project on Kickstarter. The Kickstarter page raised $170,277 (this is more than 500 percent of the Kickstarter’s first goal) to fund the production of the gadget. Over 5,000 people backed the product on the fundraising website. The Golden Goose is available through pre-order at the price of $24.99 and will be shipped to customers in November of 2014. Viral videos on Youtube explain how to create a golden scrambled egg by using a long sleeve t-shirt and rubber bands. Simply place the egg in the middle of the t-shirt sleeve and secure it in place with rubber bands tightly wrapped on each side of the egg. Then, wind the sleeves quickly; once the sleeves are tight, pull hard. Repeat this action over and over. Meanwhile, the egg is spinning and the yolk and white of the egg are evenly mixed. 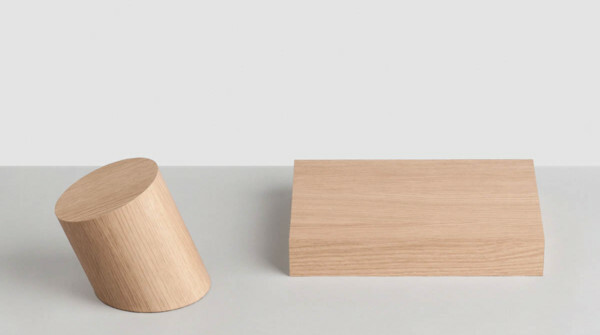 Y Line Product Design was inspired to create a simple kitchen gadget that will allow users to create golden eggs in their kitchen. The Golden Goose is made up of two handles (which look like rings), nylon cords, a scrambling chamber, a securely locking ring and an adaptive egg cradle. Besides creating yummy eggs, The Golden Goose is also supposed to be fun to use. The Golden Goose was also designed to be sustainable. It is made out of recyclable materials and is BPA free. It uses the power of centrifugal forces to mix the egg without breaking it. Krumpe’s Kickstarter page has some photos of meals made with golden eggs, including deviled eggs, soft-boiled eggs paired with crackers, an egg salad sandwich, a salad with slices of hard-boiled golden eggs and even deep-friend golden eggs. What would you create with The Golden Goose in your kitchen? This entry was posted in Kitchen Tech and tagged egg, gadget, Geraint Krumpe, golden egg, Kickstarter, Product design, range hood, range hoods, Scrambled eggs, technology, The Golden Goose, Youtube on June 4, 2014 by editor.